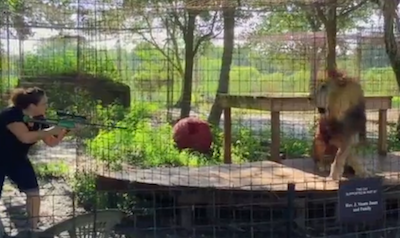 A 17 Year Old Lion In Captivity Was Suffering Badly, Watch What His Rescuers Do! A 17-year-old lion named Joseph was found in a backyard zoo. His eye was in severe pain and Joseph needed medical care. Watch the story of his miraculous capture and recovery in the video below! They Wanted A Yard For The Dog But Didn’t Have One, So They Did The Next Best Thing!